how to manage those risks. Everyone says, “I’m fine, I don’t push myself, I know my limits, I’ve never had a problem.” That does not mean you are immune to the risks. Every year by my estimation there are 50-75 fatalities per year freediving in the USA, most occur while spearfishing while the rest occur training in pools. 99% of these fatalities would be easily avoided by following these simple and easy to implement freediving safety procedures. 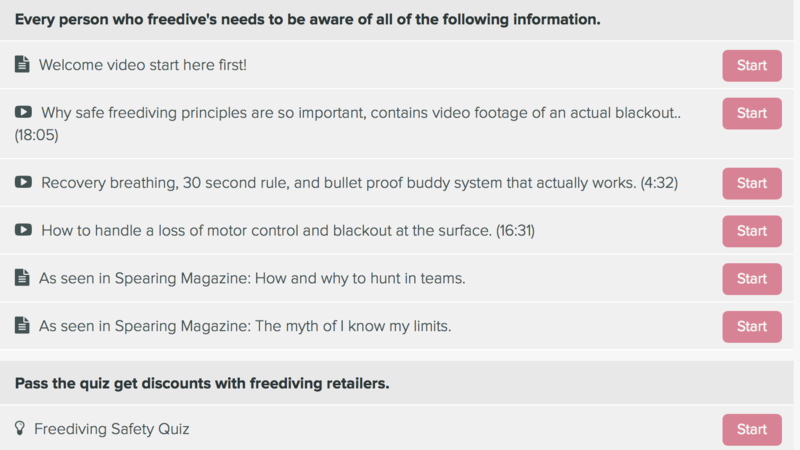 My goal for this course is to make you a safer diver by understanding freediving safety procedures. Enroll in the course and if you successfully pass the safety quiz at the end you receive discounts from Freediving Safety sponsors. 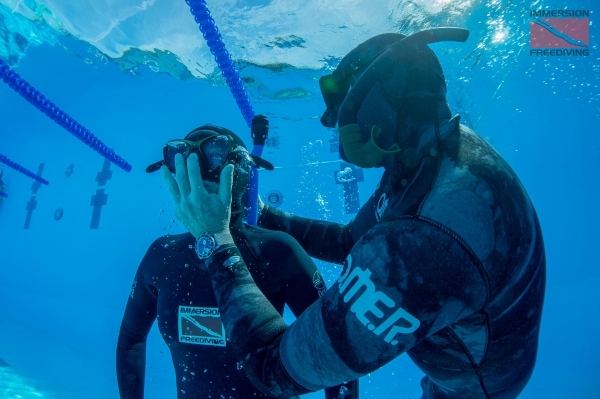 Learn how I went from wearing a suit and tie working in an office to a professional Freediver. In 2018 I was awarded the Inaugural Dimitris Kollias Prize for my efforts in promoting safe freediving at the Blue Wild Expo. I used the check pictured above to purchase this website. Ted Harty begin his professional underwater career as a Scuba Instructor for PADI, NAUI, and SSI in 2005. In 2008 he took his first freediving class with Performance Freediving International. After that course on his days off he didn’t want to go scuba diving he wanted to go freediving and realized his passion was freediving. In 2009 Ted took PFI’s first official Instructor program and immediately started working for PFI helping Kirk Krack and Mandy Rae-Kruckshank teach courses all across the USA. Ted went to his first freediving competition in 2009 as an overweight out of shape scuba instructor and progressed from 80-90ft freediver to 177ft in 3 weeks. After the experience, he wondered what he could do if he actually started training. Since that time he broke a USA Freediving record in 2011, won 3 freediving competitions, was selected to be the co-captain of the USA Freediving team in 2012, and his deepest dive is 279ft. Ted has appeared on the Discovery channel training Tim Kennedy for his show Hard to Kill. Ted has appeared on the following podcasts, Ben Greenfield, Noob Spearo, and The Spear. Ted has appeared in the books Deep Freediving, What The Ocean Tells Us About Ourselves, and One Breath. Ted has been a featured speaker for the past 6 years at the Blue Wild Expo the largest freediving and spearfishing show in the USA. Lastly, Ted has written a freediving column in every issue of Spearing Magazine since 2013. Ted started Immersion Freediving in 2010 with the goal of providing the most comprehensive freediving course on the market in the USA. 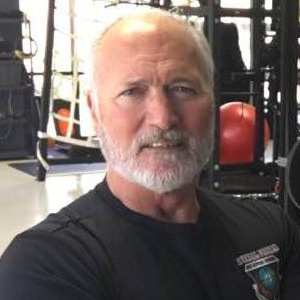 With over 45 years taking technical courses in military tactics, firefighting, paramedical life support, technical rescue, basic & advanced scuba, commercial deep sea diving, exercise physiology, and lots of anatomy & physiology, I believe Ted Harty is one of the best instructors I’ve ever had. These businesses support FreedivingSafety.com. If you are interested in supporting the site please reach out. © Copyright Freediving Safety. All rights reserved.